The .308 Win hit the market in 1952 after being designed by none other than Winchester for the civilian hunting market. They were certainly right about its hunting applications, because the .308 Win is the most popular big game hunting round out there not just nationally but globally. Hunters have used this uber-powerful round to take down Pronghorn, Caribou, and black bear, and, of course, whitetail deer. It’s also a capable round for moose and elk, and in other countries has been used to hunt a variety of African antelope. It’s also used by military snipers and law enforcement sharpshooters. If you own a .308, one thing’s for sure, you need practice, so get your rifle-loving hands on this ammo from Magtech. These are 150 grain rounds, putting them at the lighter end of the weight spectrum for the .308 Win. Being lighter makes them capable of higher speeds and can also lessen recoil some, making it easier for you to practice at greater lengths. These are Full Metal Jacket Boat Tail rounds specifically designed for target practice, shooting drills and plinking, and the Boat Tail design also makes them a great choice for honing your long-range skills. BT’s are more capable of resisting cross-winds and have flatter trajectories overall. 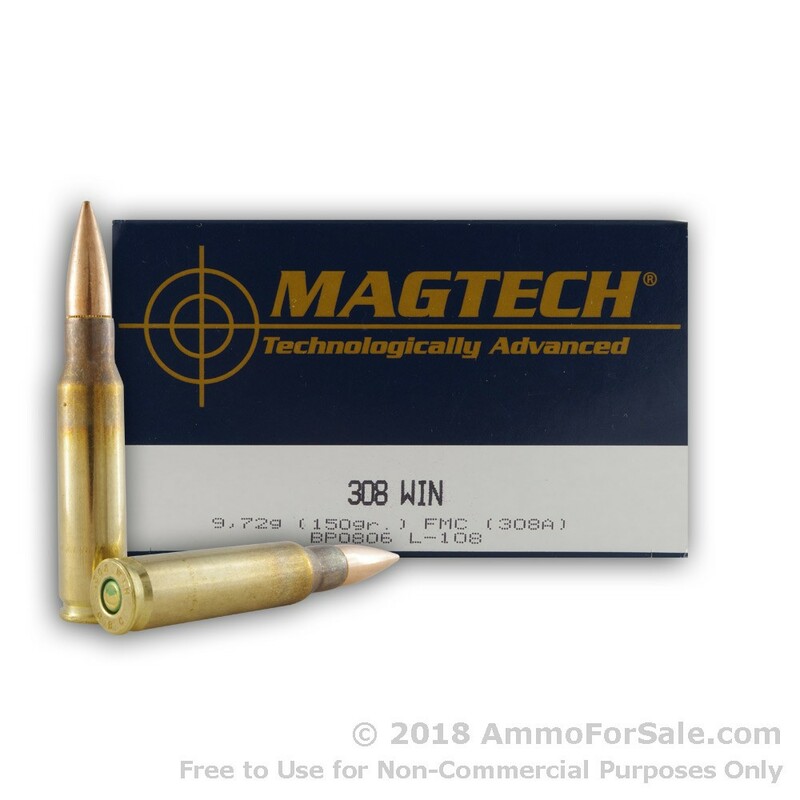 Each of these rounds moves down-range with fantastic speed with a muzzle velocity of 2820 feet per second and muzzle energy of 2649 foot-pounds, and Magtech makes them in fresh brass cases with boxer primer so you can reload them. 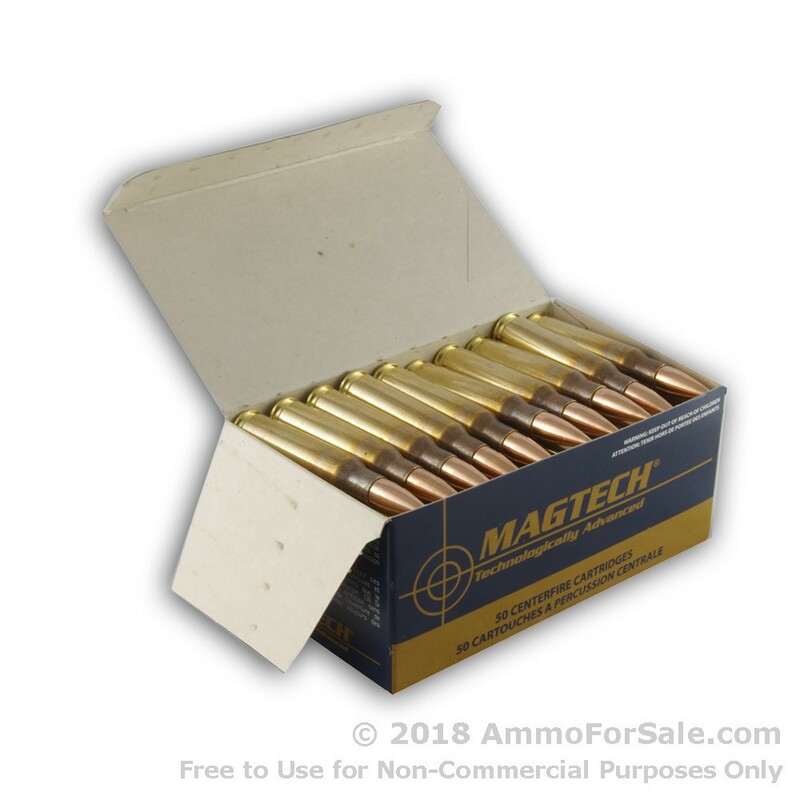 You get 50 target rounds in this single box of ammunition. 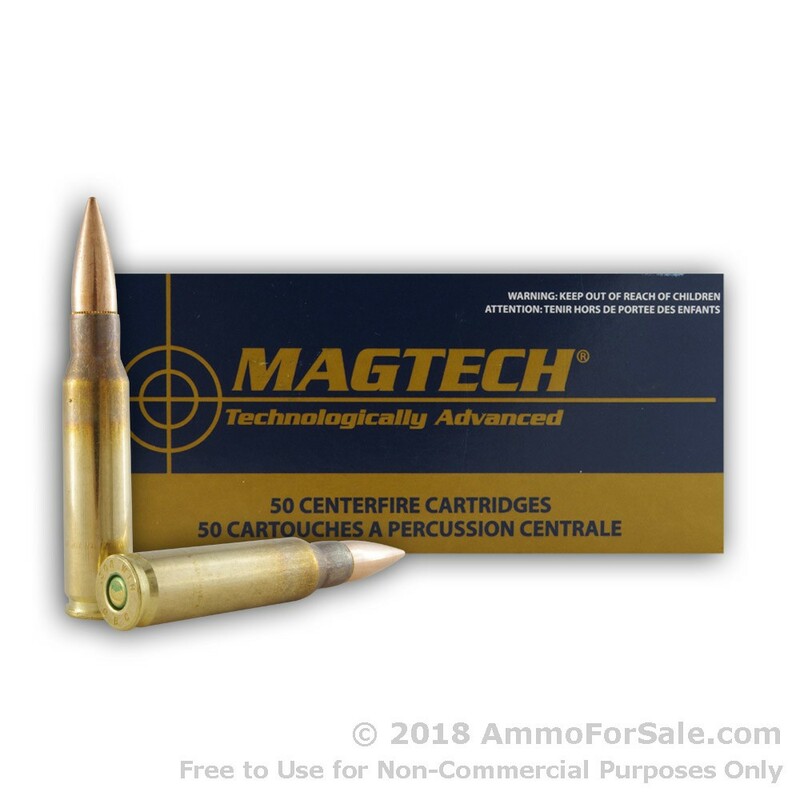 Magtech manufactures all their ammunition at their established plant in Sao Paulo, Brazil, where they’ve been making ammo since they were founded back in 1926. They’ve spent almost a century fine-tuning their production process and coming up with new, innovative products, and these quality .308 rounds are a great example of their dedication to excellence. Part of the reason they have such a solid reputation is that their factory is vertically integrated; every component is made on-site, allowing for exceptional quality control. 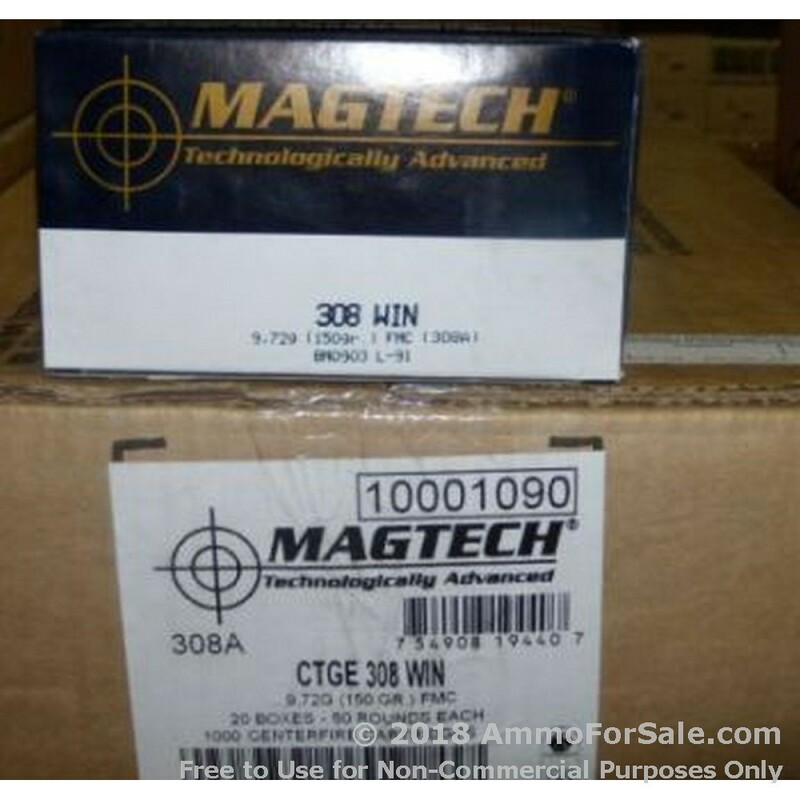 You should feed your gun good quality ammunition; to keep both you and your gun happy, buy Magtech. You’ll be back for more.